Disclaimer: my thoughts below are merely logical assumptions. To truly make the case, both methods need to be tested with the same product. P.S. Writing this article helped me immensely. The method finally started to make real sense — only after I wrote it down with examples. Update (April 2018): I implemented Sean’s pricing strategy with Your Productized Consulting Guide, and (a) it liberated me from spending too much time on premium book deliverables; (b) prevented me from selling consulting time at a discount as tier three (which often happens with promocodes). Current breakdown is 91% for the Advanced package, and 9% for the Basic package. Basic package is the product by itself. Premium package is the same exact product, plus the bonus. Premium package is only 15% (not more than that!) more expensive than the basic package. The tiny price difference, combined with highly desirable value (worth much more than this difference), makes it a no-brainer. The user make this obvious decision immediately and buys your product. At least 95% of the users pick the premium package. Voila! How do you define the price? 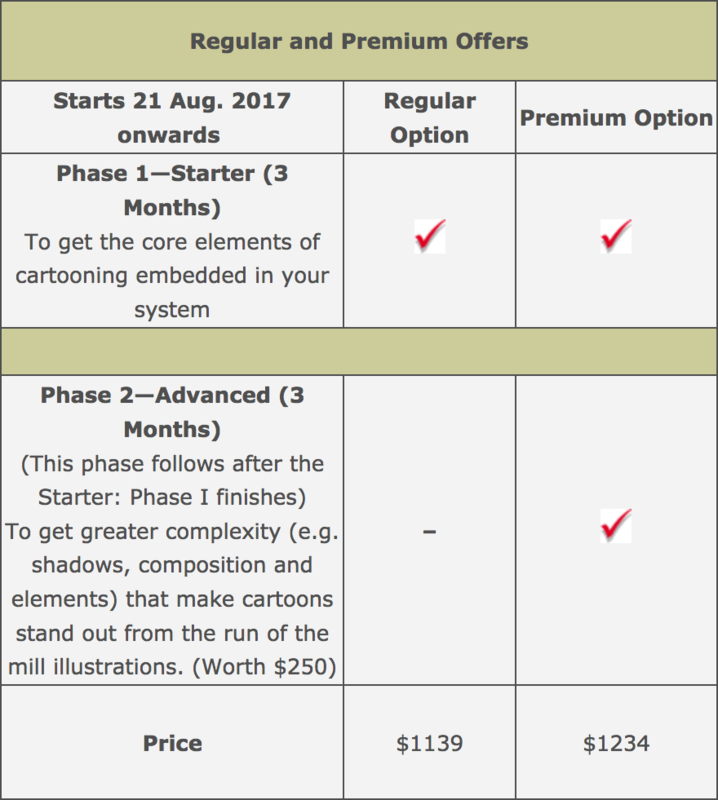 Set your premium package at the desired price, and reverse-calculate what the basic package should cost (basic is X and premium is 1.15X). Here’s the original article and a video presentation where Sean goes into details. Please do watch, to make sure I interpret the author correctly. The key benefit of this model is boosting the overall conversion rate on the page. In one-tier model, there’s too much decision-making in “purchase or not.” In three-tier model, there’s too much decision-making between a wide range of options. Here, the decision is a no-brainer. While doing that, this method helps you pull off any price tag you want. 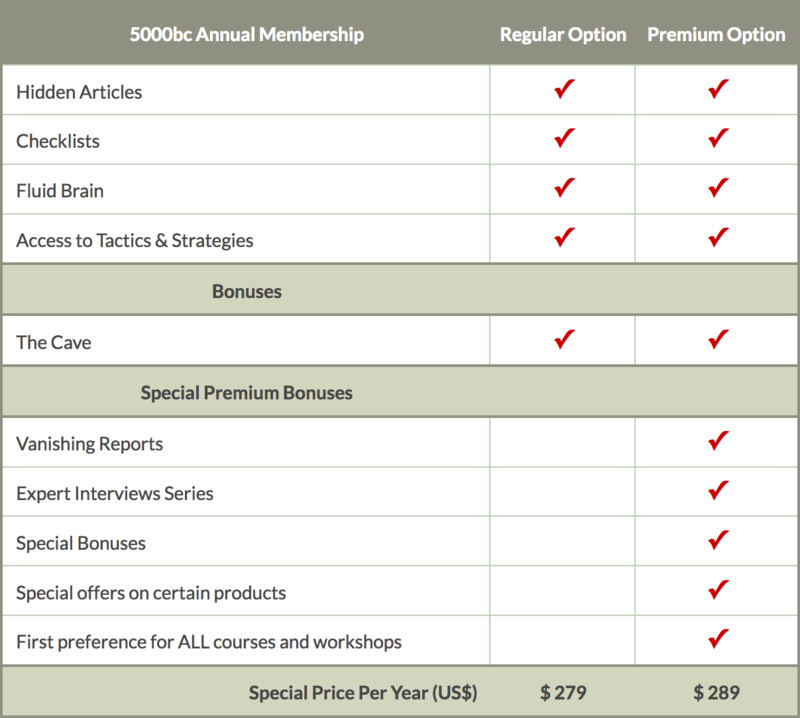 You don’t need tiers anymore because you’re selling the premium package 95—98% of the time. Anything that represents the third choice needs to be transferred into the next product in your product ladder. I’m looking at you, the infamous third book tier with the consulting component! Sean says says the method works wonders for all their products at Psychotactics. Let’s see what they serve as a bonus. The last bonus is, essentially, half of the course! Before exploring these examples I thought that bonus needs to be highly attractive — “but not too much.” What I see now: you can’t go overboard with the bonus. But I still have a couple objections. Way less than I had on day one, though. Objection 1. I feel sorry that my low-budget users don’t have a chance to buy the cheap option. Objection 2. WIth consulting, it breeds certain inconvenience, because the number of products doubles or triples. It gets hard to make up names and value propositions for them. That’s my personal impression from multiple chats that I had with other consultants at DYFConf. For example, a single product with S/M/L volume options needs to be transformed into three products (each with its own bonus setup). We also discussed the Yes-Yes method applied for SaaS. I have hard time seeing it in a traditional SaaS pricing grid, but it can be served as two upgrade options when the trial is over. That’s what Sean suggested when I asked him about it. Now let’s compare this setup with the classic 3-tier model. Ryan Delk gave a presentation at MicroConf 2014 and summed up the data on Gumroad’s best-selling products. He recommended three tiers, priced at X, 2.2X, and 5X, which became the gold standard for both infoproducts and software. The trick here is in bracketing. The third tier serves as a “limousine” option, making others seem less expensive (and often has a consulting component for that). Then the customer can make a choice between the first and the second package according to their needs and purchasing habits. 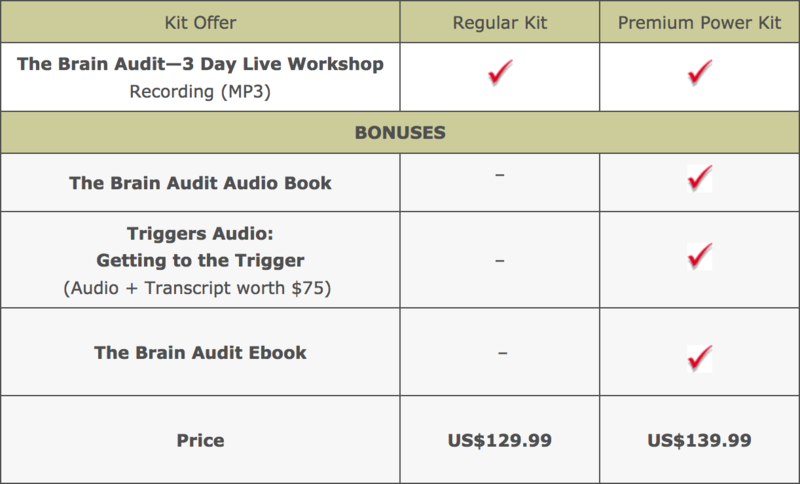 Here’s a screenshot from Gumroad which shows this distribution for my latest book, The UI Audit. The totals are skewed because of free copies and discounts, but you get the idea. Here’s a nice article by Nathan Barry explaining the 3-tier model in more details. With the 3-tier model, customers get “real” choices. The main benefit: they might pay you significantly more right now — 2.2X or even 5X — if they feel so. But I see how that might steer them away from purchasing entirely, and lower the conversion rate. How would I rework The UI Audit pricing using the Yes-Yes method? Here’s the thought process and the objections I face. Let’s unbundle it and define a bonus: worksheets and founder interviews. Then, according to the 15% difference, the book alone should cost $86. My gut reaction is that I don’t feel comfortable doing this — $86 is an obvious overkill for a single book. Even though it should produce the backwards impression — that the bundle is a great deal for just $13 extra. I don’t like that I deprive my users of the cheap option! Now the premium option is the only sensible choice — because the basic package is ridiculously expensive. But it definitely looks like this setup could make me more money (and happier users — because all people enjoy buying premium things). What will happen to people who have a mental barrier for purchasing expensive things? Would they quit entirely? I have no clue. But pricing is psychology, and Sean is the master of it. My guess is that both methods are effective — definitely more effective than a single price tier. Picking one method or another depends on the situation and your product lineup. Summing it up, I’m incredibly grateful to Sean for this presentation. It’s a wonderful new method in our toolset. We all need to test it now!